After the week of hard work that I've had, a day off was badly needed. My mum and I had plans to go to Dundee which unfortunately fell through, but we ended up spending the day together in Aberdeen instead, and a wee shopping spree is always appreciated, especially somewhere like Aberdeen where there are four shopping centres within walking distance from one another. I may have exercised some self-restraint while shopping with my mother and not bought as much as I would have done had I been on my own (the last time I went shopping alone, I ended up with an almost shameful amount of stuff), but I still picked up some useful things. In the spirit of writing a little something every day, whether I share it online or not, I thought a summary of my day was in order, so here are the little bits that I picked up in town today. 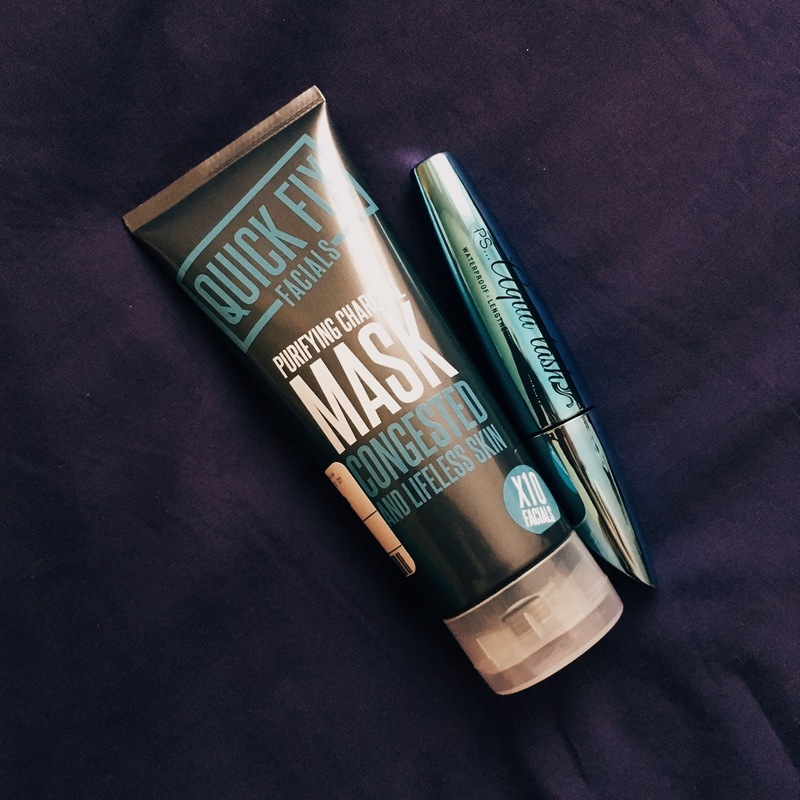 Beauty-wise, I only actually picked up two items, and if that's not self-restraint then I don't know what is. This Purifying Charcoal Mask by Quick Fix Facials that's pictured below was one that I found in TKMaxx when I ran inside to see what high-end makeup they were giving away for ridiculously cheap prices, and, remembering how good their Anti-Blemish Mud Mask had been when I used it on my breakout-prone skin all those years ago, I thought I would give this one a go. After taking a look at the ingredients list, it seems like I made a good decision: charcoal to deep-clean pores, dragonfruit containing Vitamin C to illuminate skin and make it look healthier, and cinnamon with its antiseptic properties. My current favourite face wash is a charcoal one since it's an ingredient that does such a fantastic job of clearing the skin, and a face mask with charcoal as one of its main ingredients will hopefully also be of use to me and my oily skin. I also dragged my mum into Primark today with the intention of looking at their new makeup products (much to her dismay since she wrongly believes that I have too much makeup, and there is no such thing as 'too much makeup'), but I ended up only leaving with one makeup item that I picked up while waiting in the queue at the checkouts. I had meant to check out Primark's new mascaras after watching SophDoesNails' recent Primark makeup haul video in which she tried out two mascaras but only really liked one of them. I couldn't remember for the life of me which one she mentioned that she liked, so I picked this one out as an impulse buy just in case. Mind you, for only £2, I won't exactly lose sleep if the waterproof Aqua Lash mascara that I picked up doesn't perform all that well. The reason that I was standing in the queue in Primark in the first place was because I had spotted something delightful in the homewear section. 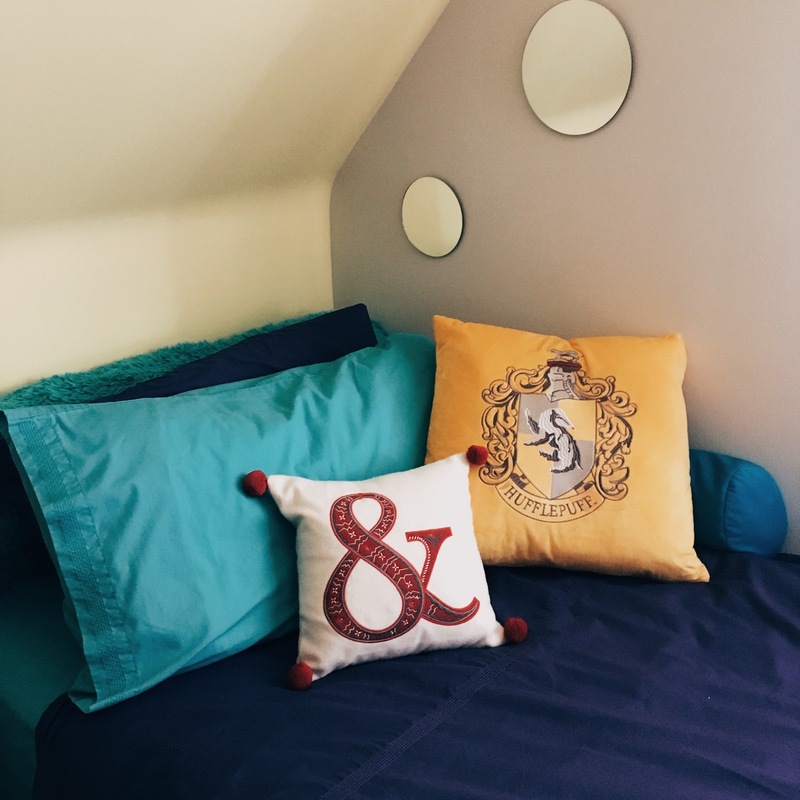 Below is a photo of it looking very bright but also very at home on my bed, and it is of course that lovely Hufflepuff cushion. Pros: it's sunny and colourful, it's a great symbol of house pride for a proud Hufflepuff like myself, and it only cost me £8. Cons: absolutely nothing. It's the sort of home accessory that I would use to decorate my own place if I had one, and I can't wait to see how it fits in with the decor when I finally get a flat of my own. Returning to TKMaxx for a moment, I managed to find another item in there that hopefully will benefit me in the next few weeks. 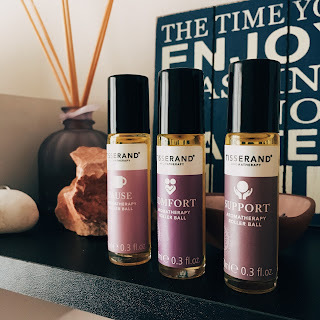 I'm going through a bit of an anxious spell as my last week of shifts at work have proven to me, and it wasn't until I saw these aromatherapy oils looking at me from a shelf that I considered that it might be beneficial to experiment with them to see if they help at all. These ones are specifically tailored to calm and ease anxious minds, and the set includes three types of pulse point roller ball oils named 'Pause' (orange and coriander), 'Comfort' (bergamot, orange, ginger lily and ylang ylang) and 'Support' (frankincense, cedar and peppermint). I've given them all a sniff, and they all smell calming and comforting to me, so I'm looking forward to carrying them with me in my bag so I can use them during stressful work shifts or whenever I feel myself getting jittery or panicked. But the star of today's show has to be this gorgeous yellow raincoat that I bought in the Marks & Spencer sale. All summer, I've had it in the back of my mind that I should add a bright anorak to my collection, especially since I've seen plenty of people wearing bright yellow coats over the summer. 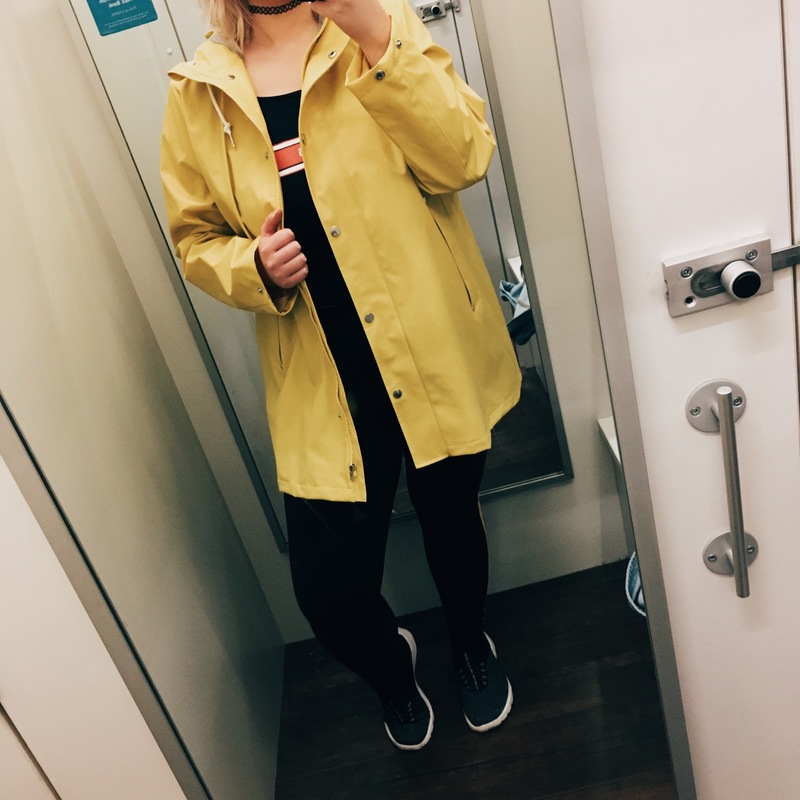 They're eye-catching, cute, and add a touch of colour and sunshine to a rainy day, and so I was delighted to find a raincoat of such good quality at a discounted price. Finally, I can say that I own a bright yellow coat, and hopefully it'll keep me dry and optimistic during the autumn and even the rainy spells during the spring and summer next year. The only downside of this coat? I only realised after I bought it that it looks pretty much exactly the same as the raincoat that appears on the poster for the movie 'It'. I had been wracking my brains trying to remember why I recognised the coat before I went to the checkout, but convinced myself that I was just imagining things. Maybe this means that spooky things will start happening to me whenever I wear it. I can't speak to the accuracy of that since I've never seen the movie or read the book, but I just hope that there are no incidents involving creepy clowns in my future, especially with Halloween approaching.